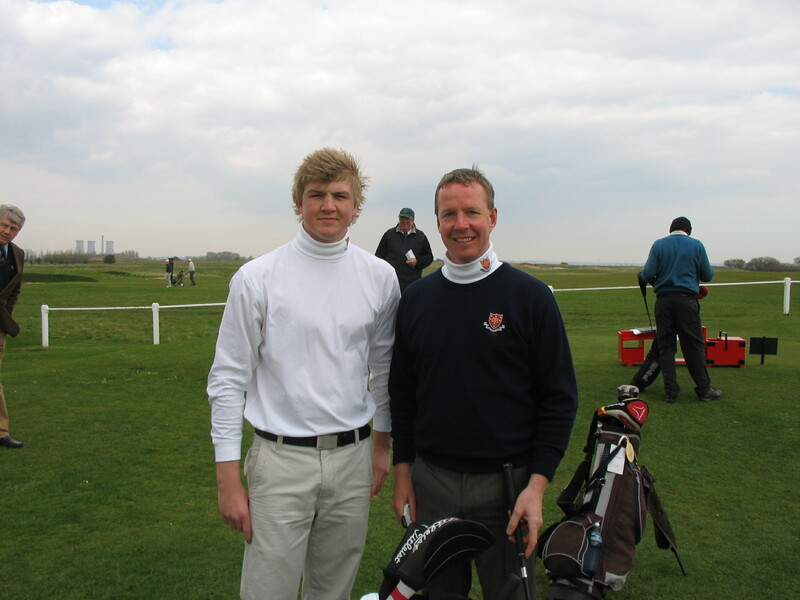 Trent arrived at Royal St Georges this year with the strongest squad of players ever to represent the school at the competition. 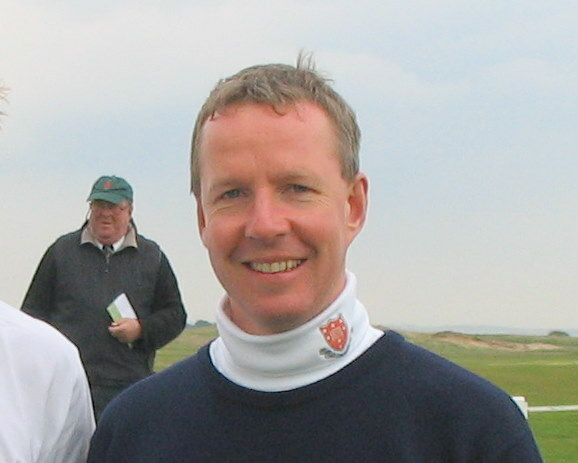 All players were category 1 golfers and included Chris SwalIow, Ian Birch, Nick Peplow, Stuart Carlisle, Jon Carter, John Bailey, Ali Wakefield, Tom Rolfe, Rob Cox and two Rookies – Greg Roberts who left Trent in 2006 and Richard Lawless who left Trent in 1984. The weather was as kind as it can ever be and we played for five days in the glorious sunshine with very little wind on the first three days. After two very competitive practice rounds the team to play Marlborough was confirmed. Swallow and Roberts had a tight match for the front nine trading birdies on several holes, but eased away on the back nine playing to par to win 5 & 4. Carter and Bailey had a bright start and were 2 up early on. Having visited some of the treacherous bunkers around the turn they struggled and lost 4 & 3. 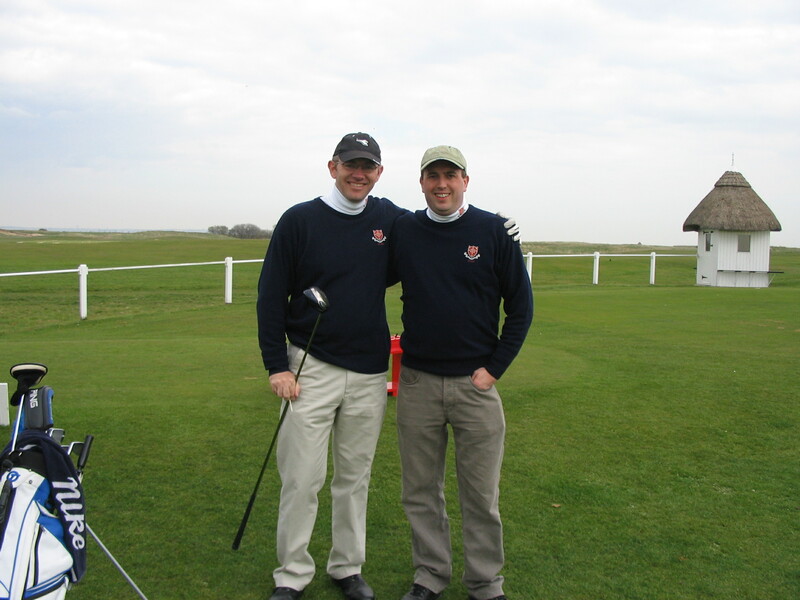 Carlisle and Rolfe were never up in the match and despite picking up a hole on the 12th lost 4 & 3. Then the game started to tighten considerably. 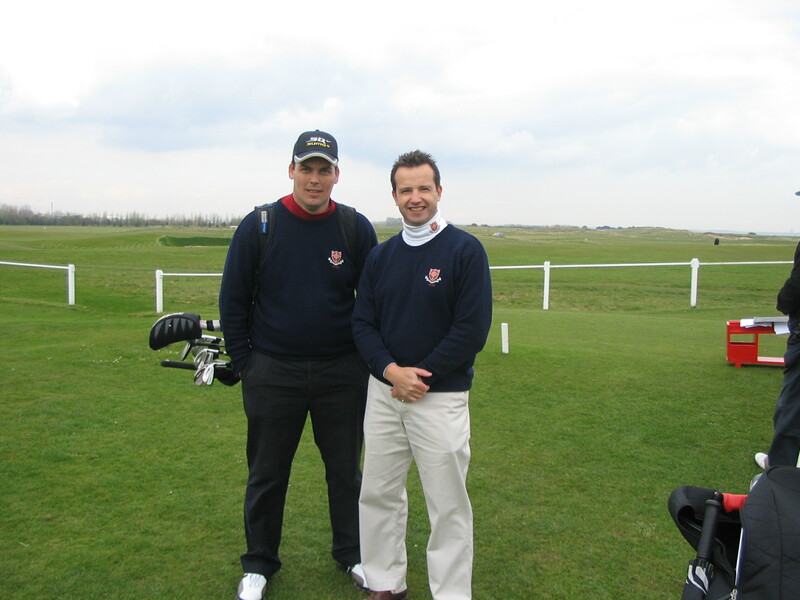 Birch and Wakefield, our top pairing, had a tough start and were 5 down. They proceeded to birdie the 13th,14th and the extremely tough 15th ,a 460 yard par 4 into the wind. A 20 foot put won the 16th with a par and a par was enough on the tough 17th to bring the match back to all square. Peplow and Cox having gone out first pairing were 3 down at the turn, but recovered magnificently by winning the next 5 holes on the bounce. Having lost the next 2 holes their match and the game in total were too close to call. However, a wide tee shot on the 18th meant that Peplow and Cox bogied the last and lost to a par. This prevented them and Birch and Wakefield going down the 19th having halved the last in par. A very close game, but a loss of 1.5 – 3.5 on the card. After the disappointment of losing in the main competition Trent were given the daunting task of playing Charterhouse, a top five school, in the plate competition. It became clear on inspecting the opposition’s team sheet that they were intent on making their mark by putting out a very strong side. Swallow and Roberts failed to live up to their previous days performance. However strong performances from Carlisle and Carter and Birch and Wakefield meant that Trent won the game 2-1. This could be described as one of Trent’s best performances ever at the Hewitt and a big shock to Charterhouse. The second round against a strong Ampleforth side was another very good game. Birch and Wakefield continued their incredibly impressive run of never being beaten as a pairing at the Hewitt and won 1 up. 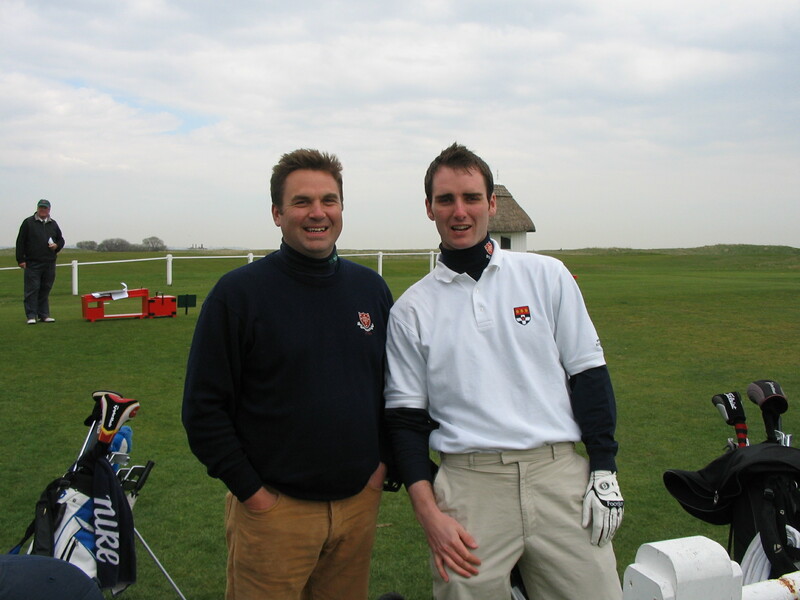 Carter and Roberts lost their game leaving the match in the balance with Carlisle and Rolfe who went down the 18th 1 down. Ampleforth missed the green and although we hit the green we were left with a long putt which was holed in regulation. Ampleforth managed a fine up and down to win the game and the match 2-1. The squad took heart from some strong performances against good opposition and it is clear we can now give any team in the competition a test. It now remains to put a good run together. This entry was posted on Thursday, April 17th, 2008 at 2:13 pm and is filed under Results. You can follow any responses to this entry through the RSS 2.0 feed. You can leave a response, or trackback from your own site. I would like to add my congratulations and those of the Trustees of the OT Society.Well done lads.My Charterhouse educated Cousin tells me that we are off his Christmas card list,something that does not phase me one little bit. 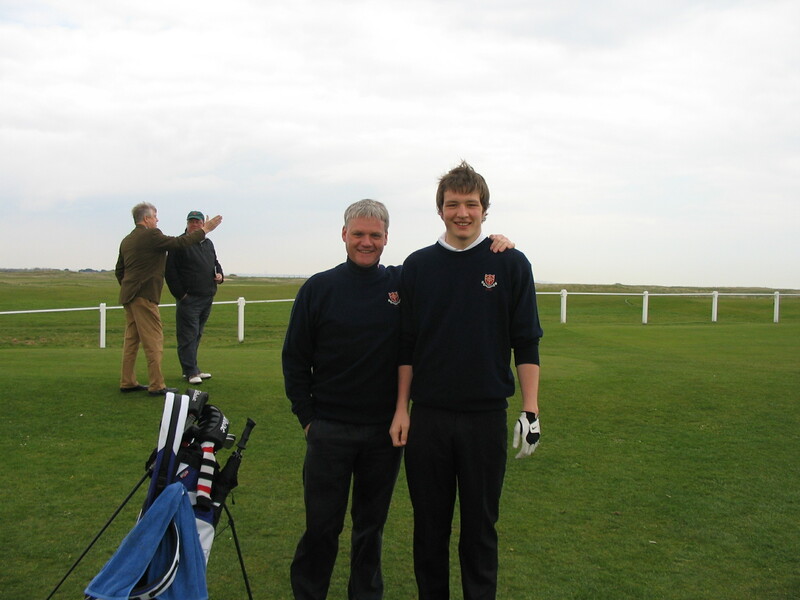 At Chevin,Chairman of Govenors Malcolm McDowell and myself were lucky enough to play with,correction stand in awe and watch Ali Wakefield,only to realise what a fine golfer he is.added to which he is a member of my club,Stanton on the Wolds.Definetly a future Captain. High on the agenda for my meeting with the Head,Gill Dixon is the appointment of a Master/Mistress in charge to ensure that Trent honour a fixture against Nottingham High School.Our thanks to Preident Chris Cutts for taking the initative which should result in more fixtures and encourage pupils and parents to support our excellent Golf Society. Congratulations to all. Well done!